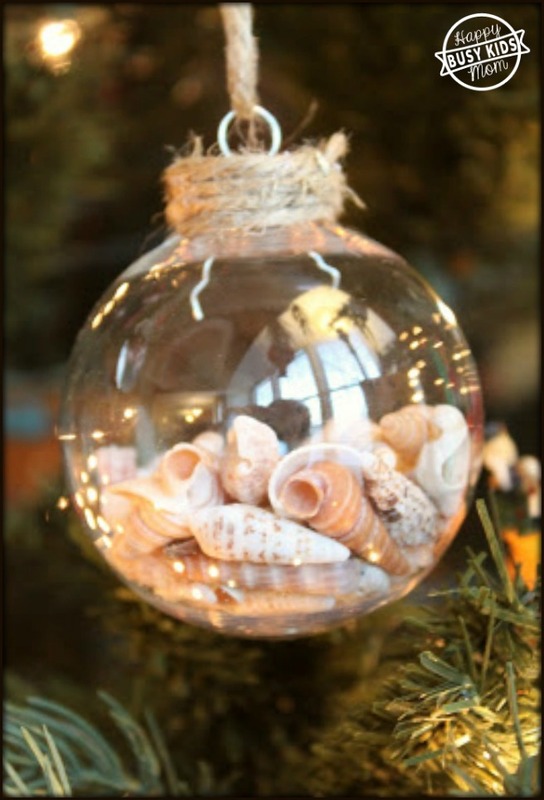 How to make your own Seashells Ornaments - Busy Kids Happy Mom! 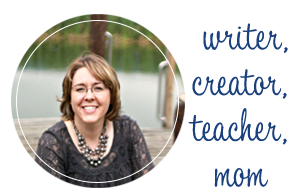 Have you ever collected a ton of seashells and you didn’t know what to do with them? Every time we go to Florida, we collect the prettiest shells. Even if you don’t have your own shells, you can purchase them and pretend you were there! 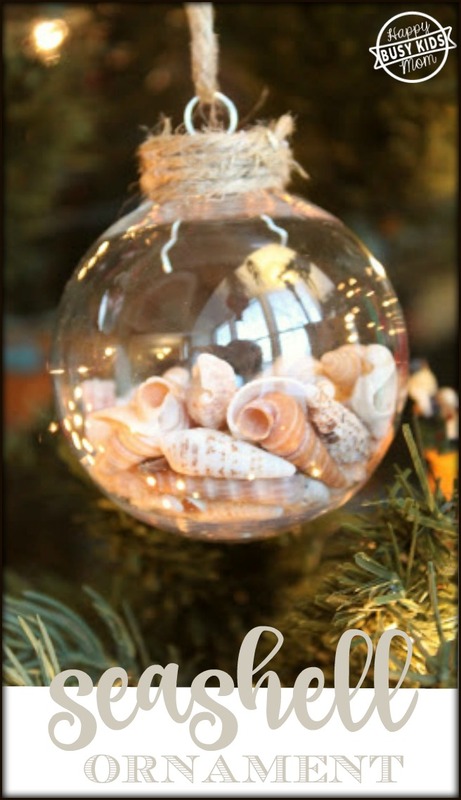 We’ve turned our shells into this handmade Christmas Seashell Ornament (below) and a seashell wreath. Every ornament on our Christmas tree seems to have a special memory. They’ve either been handmade like our “I Spy” Ornament or we’ve purchased them while traveling. We have the Elf that my husband grew up with, a little bear from our honeymoon, a key chain turned ornament from Disney, and some special handmade items from our kids. 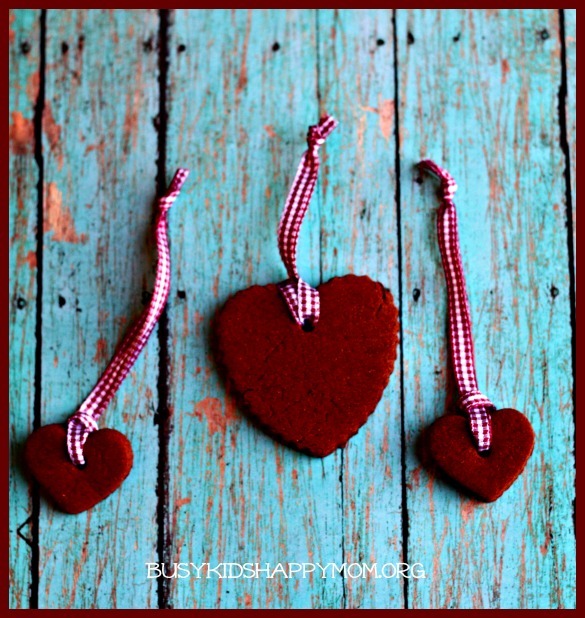 We also love to collect or make Christmas ornaments from everywhere we travel. I love them because they do not take up additional space, add to the clutter, and I think an eclectic Christmas tree full of memories is fabulous. 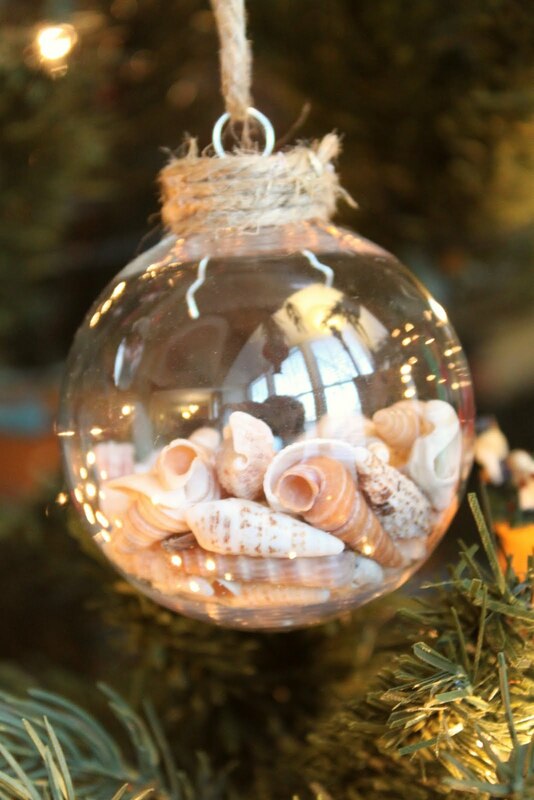 This seashell ornament is super simple. 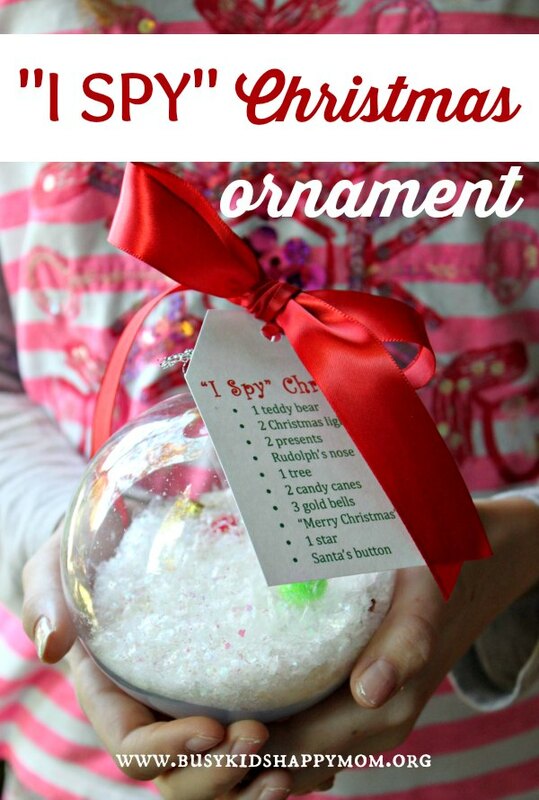 Save your shells and let your kids fill clear plastic ornament balls with them. These are actually the shells leftover from the shell wreath I made. Fill the ornament halfway with shells. Push the top into place. Put glue around the metal part and then wrap twine. Let it dry and you’re done! 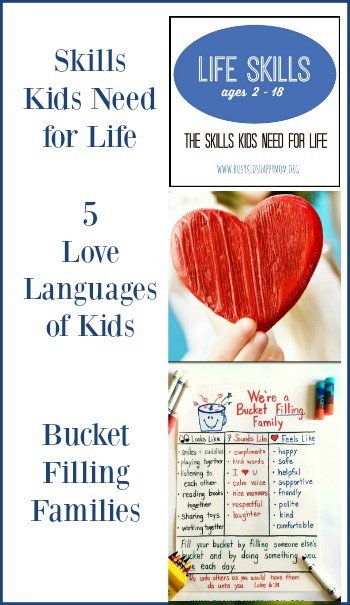 Bonus: Do you have tons of shells left? Try this popular seashell wreath! This ornament is full of shells from the Gulf of Mexico on the Florida side. You can read more about our visit to the Legoland, Naples, FL C’mon Children Museum and our view on how long it takes to get into “Vacation Mode”. I love these “Beachy” Decorations! But are the clear ornaments really large? The shells you used look too big to go through the openings on those I’ve seen, and the top openings on smaller ones don’t appear they will accommodate even my small shells. I have some teensy shells from a purchased necklace I could use, but they aren’t nearly as pretty, or as “individual,” as the others ~ with their brown speckles … ! Thanks for the beautiful ideas!